Wedding styles, from dresses to hairdos, will come and go, but the real moments–dad tearing up at the site of his daughter in her wedding dress, a nervous groom waiting at the end of the aisle, or best friends dancing ecstatically to “Love Shack”–will never get old, even as decades and trends pass. When we photograph a wedding, we are always on the hunt for those real moments. A gallery full of photos that are staged or posed just doesn’t do it for us. 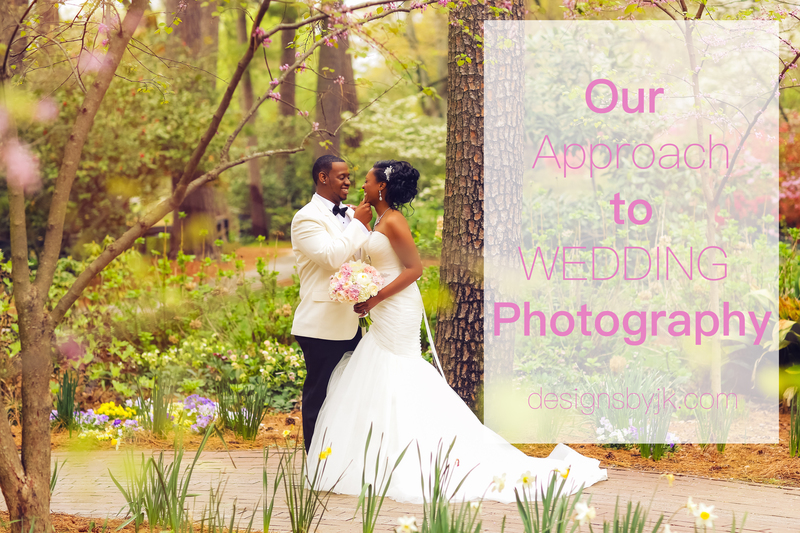 We want your wedding photographs to be true to the action and emotion that organically unfolds at your wedding. Why ruin a perfectly good moment by making someone say “cheese”? As much as we thrive on documentary-style wedding photography, we just can’t deny our love of portraits–especially those creative, romantic, and often epic portraits of the bride and groom. Family and wedding party portraits are also a must. When was the last time your entire family dressed up and gathered together? Photo-op! As for your wedding party, they are your best friends and we want you all to have fun together in your photos. As the saying goes, a picture is worth a thousand words. One good look at Designs By JK’s wedding portfolio should give you a feel for our style and approach to wedding photography.